This overview is in two parts. The first provides a brief historical perspective on the development of the District HCP and the remaining activities that are required to obtain an Incidental Take Permit (ITP). The second part takes the form of a set of Frequently Asked Questions. The HCP is required because the groundwater pumping from wells in the Barton Springs segment of the Edwards Aquifer within the District’s jurisdiction reduces the amount of springflow at Barton Springs, which in turn is associated with changes in water chemistry that adversely affects the endangered salamander species (the Covered Species) that inhabit the springs. 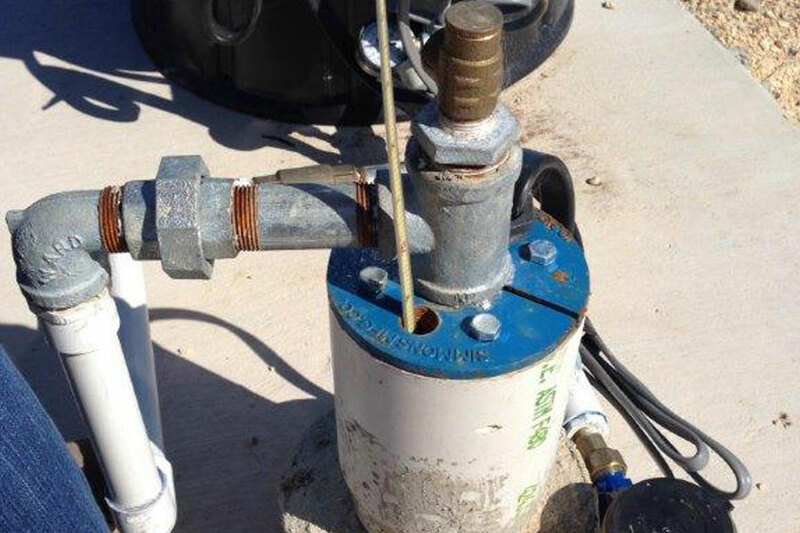 The District’s permitting program proximally allows that pumping, springflow reduction, and adverse effects to take place, even in a controlled fashion. The adverse effects related to the District’s regulatory program is called “take” under the Endangered Species Act, and the regulatory program is designated as a Covered Activity in order to be legal under the ITP. This determination was made by the District’s Board of Directors in the late 1990s. The HCP has been under consideration and development more or less continuously since that time, primarily by District staff and with input from multiple advisory groups over the course of its development and with the substantial financial support by two grants from the US Fish and Wildlife Service, administered through the Texas Parks and Wildlife Department. These grant projects afforded specialized expertise to be used in evaluating current conditions and selecting among optional approaches. 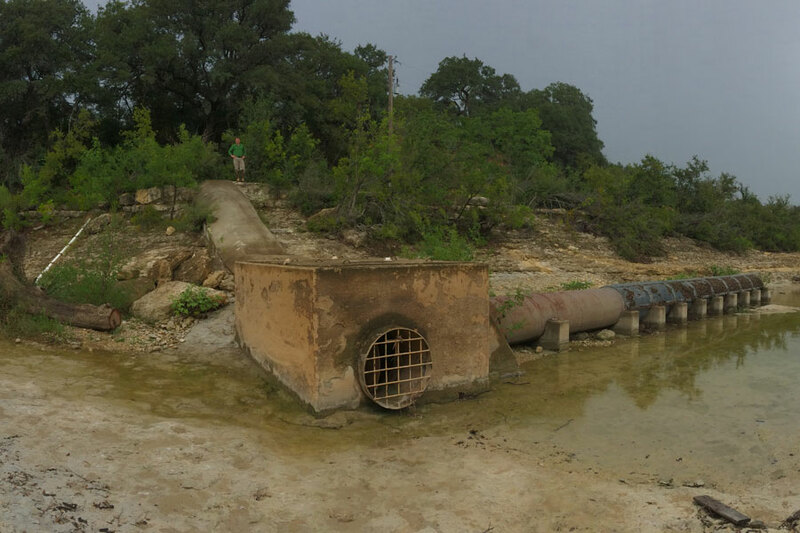 The first grant project to develop a combined District Habitat Conservation Plan and Environmental Impact Statement for the endangered species at Barton Springs that may be affected by District activities was begun in 2004 and completed in August 2007. The second grant, 2008-2011, built on the work accomplished in the first. The efforts by District staff and the multiple advisory groups and consultants under the grant projects produced a draft ITP Application and a Draft HCP in 2014. These drafts were then subject to recurring reviews and comments for the HCP by the local, regional, and national offices of the Service. Revisions in response to those comments, suggestions, and requirements by the Service led to the final and current version of the Draft HCP, which is now undergoing a public review and response process. The final Draft HCP, dated May 25, 2017, was submitted with the consent of the Service as the basis for public comment and ultimately for its decision-making. The Service has now also produced an accompanying Draft EIS related to its decision-making under NEPA in granting an Incidental Take Permit to the District. The DEIS is going through the same public review process as the Draft HCP. While somewhat indeterminate, an approximate timeline of remaining activities indicates that the HCP and EIS will be finalized and an ITP issued in late 2018. Clicking on specific questions in the list below will take you to more information on that area of inquiry. What is the status of the Barton Springs salamander? Why is an EIS required? What action of the BSEACD triggers these needs? What will be involved in the development and implementation of the HCP and EIS? What is ultimately being accomplished with the HCP? What is the benefit of an incidental take permit and HCP to a private landowner? What needs to be included in a HCP? What kinds of actions are considered mitigation? “Take” is defined in the ESA as to harass, harm, pursue, hunt, shoot, wound, kill, trap, capture, or collect any threatened or endangered species. Harm may include significant habitat modification where it actually kills or injures a listed species through impairment of essential behavior (e.g., nesting or reproduction). The U.S. Congress amended Section 10(a) of the ESA in 1982 to allow the “incidental taking” of an endangered species by a non-federal entity, provided that the entity obtains a permit from the U.S. Fish and Wildlife Service (“Service”). Private landowners, corporations, state or local governments, or other non-federal landowners who wish to conduct activities on their land that might incidentally harm (or “take”) wildlife that is listed as endangered or threatened must first obtain an “incidental take permit” from the Service. An incidental take permit allows a property owner to conduct otherwise lawful activities in the presence of listed species, even if the activities may incidentally result in a taking. A non-Federal entity (e.g., a landowner or local government) develops an HCP in order to apply for an incidental take permit under section 10(a)(1)(B) of the ESA. The HCP integrates the applicant’s proposed project or activity with the needs of the species. It describes, among other things, the anticipated effect of a proposed taking on the affected species and how that take will be minimized and mitigated. 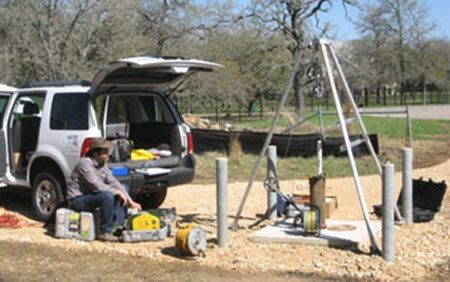 The proposed HCP for the Barton Springs/Edwards Aquifer Conservation District will examine groundwater flow and pumping of wells in the Aquifer, and will assess the effects of pumpage during drought on water quantity in the aquifer, the quantity of Springs discharges, and the attendant water chemistry and quality of both. The endangered Barton Springs salamander and the Austin blind salamander will be studied, because both are currently a listed endangered species and require the special attention of an HCP. The purpose of the District HCP is to protect these species and to protect the water supply of the people who are dependent on the Aquifer. The HCP may ultimately influence the District’s management policies on pumpage during times of drought and high water demand. The issuance of a Section 10(a) permit is a federal action subject to the provisions of the National Environmental Policy Act (NEPA), which requires the federal agency involved in that action to assess its potential for significant adverse environmental impact. After a preliminary assessment, if a “Finding of No Significant Impact” cannot be made, then the agency is required to undertake a detailed analysis prescribed by the Council on Environmental Quality and to document its process and results in an Environmental Impact Statement (EIS). The Service has determined that a FONSI cannot be made for this prospective permit. 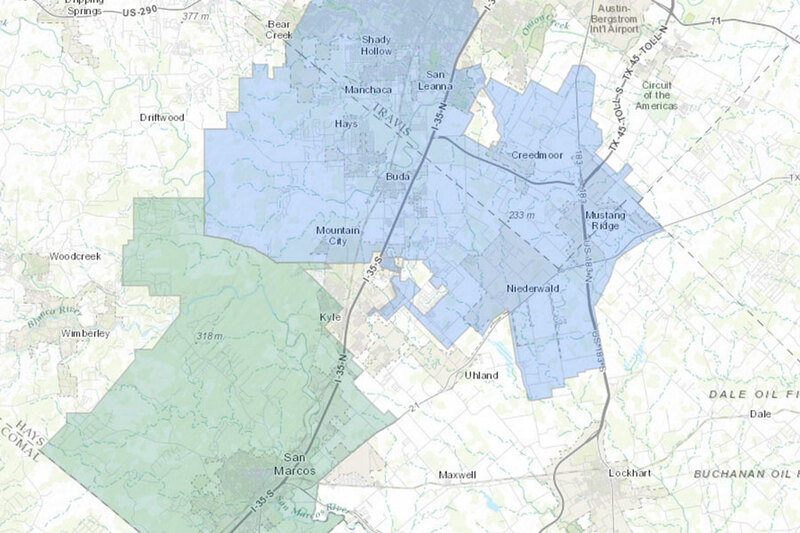 The Barton Springs/Edwards Aquifer Conservation District’s Groundwater Management Plan is a plan mandated for all groundwater conservation districts by State law. It specifies how the District will administer its responsibilities to conserve, preserve, protect, promote recharge, and prevent waste of groundwater in the District. The Management Plan is revised periodically, at least once each five years. 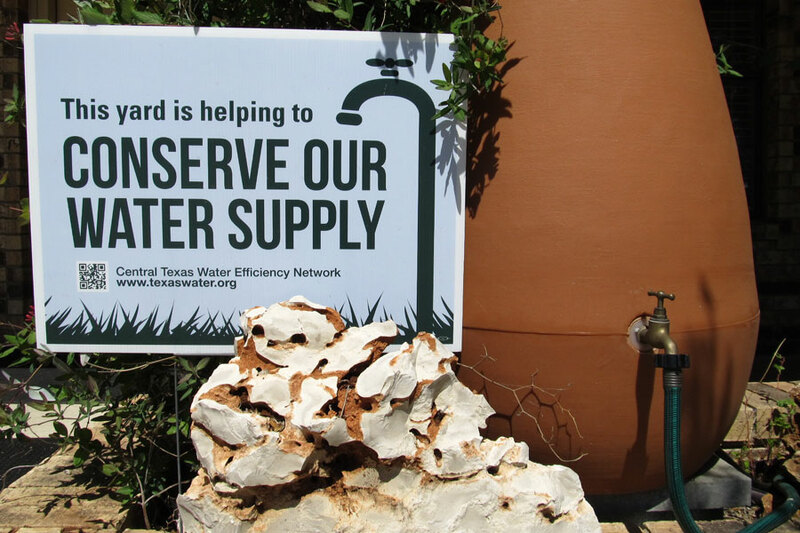 The regulatory compliance program of the District includes rules, permits, and water use fees, and incorporates a Drought Management Plan. It is the primary vehicle used to fulfill the District’s responsibilities, and it is specifically designed to optimize the amount of groundwater available for all users and uses under all conditions, including extreme drought. One of these uses is habitat at the natural discharge point of the aquifer for a listed endangered species, the Barton Springs salamander (Eurycea sosorum). However, sufficient water for any and all uses, including spring flow considered necessary to the habitat, is not and cannot be guaranteed at all times under this program. So District actions under the Management Plan, while a legally mandated and legitimate activity, have the potential for “incidental take” of a listed endangered species. Accordingly, the District announced its intent to apply for a Section 10 permit to comply with federal law in the course of continuing to administer its regulatory program in the Management Plan authorized under State of Texas law. The US Fish and Wildlife Service subsequently determined that the issuance of a Section 10 permit for the District’s Management Plan will require an EIS, and that the HCP and the EIS should be undertaken jointly and integrated. The findings and provisions of the HCP will then be reflected in a revised Groundwater Management Plan. In 2004, the District applied for and was awarded a 3-year grant from the Fish and Wildlife Service, through the Texas Parks and Wildlife Department, to conduct a HCP for the federally listed Barton Springs salamander (Eurycea sosorum) and to develop a preliminary Draft EIS for the permit. A second grant was awarded to continue the work during 2008-2011. 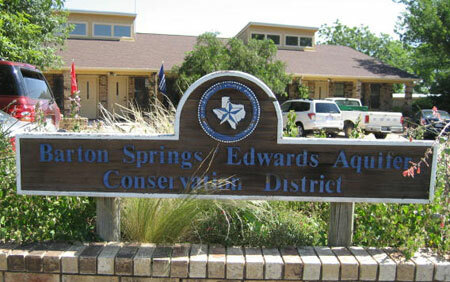 The proposed HCP for the Barton Springs/Edwards Aquifer Conservation District will examine the groundwater flows to and from the Springs, the pumping of wells in the Aquifer, and the effects of pumpage and spring flow under drought conditions on water quantity, water chemistry, and water quality in the Springs. Impacts on both the Barton Springs salamander (Eurycea sosorum) and the Austin blind salamander (Eurycea waterlooensis), will be studied, as they are endangered species that share the habitat of Barton Springs. Various alternative actions and mitigation strategies will be developed, assessed, and ultimately recommended as part of the HCP. The District is working with various public agencies, some of which are providing in-kind services as is the District, as well as technical services contractors to complete the plan. In addition, several citizen and technical expert advisory groups are providing input and reviewing outputs. The overall goal of the District’s HCP/DEIS/Management Plan process is to protect these species while providing a requisite water supply to the people who are dependent on the Aquifer. The HCP results likely will ultimately influence the District’s groundwater management policies, especially those applicable during times of extreme drought and high water demand. The revised Management Plan is the implementation of the HCP, not something apart from it. Some mitigation and groundwater management strategies identified in the HCP may require administrative and operational changes in the District, and others may be possible only with legislative changes and/or commitments of other political subdivisions, necessitating an “adaptive management” approach to take advantage of beneficial conditions as they arise in the future. The permit allows a landowner to legally proceed with an activity that would otherwise result in the illegal take of a listed species. In the case of a District HCP and permit, the District’s permittees who operate wells in the Aquifer would be able to legally proceed to pump their water during times of a drought, under the terms of the permit. 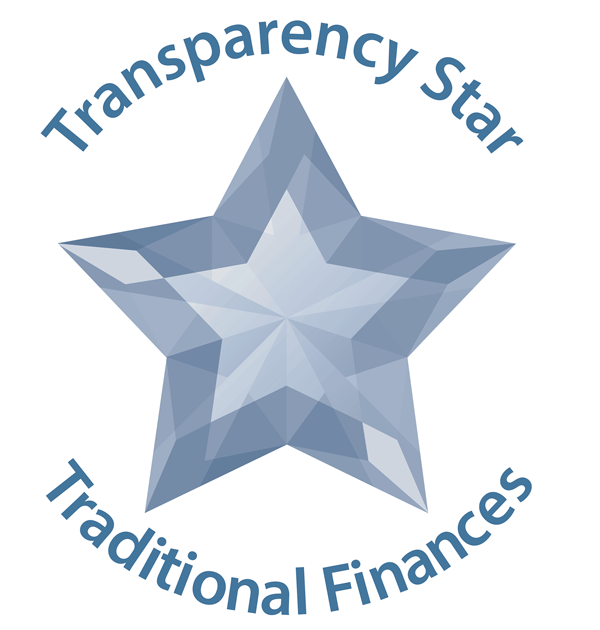 The Service also developed a regulation to address the problem of maintaining regulatory assurances and providing certainty to permittees through the HCP process, called the “No Surprises” regulation. The contents of a HCP are defined in section 10 of the ESA and its implementing regulations. an assessment of impacts likely to result from the proposed taking of one or more federally listed species. measures the permit applicant will undertake to monitor, minimize, and mitigate for such impacts; the funding that will be made available to implement such measures; and the procedures to deal with unforeseen or extraordinary circumstances. alternative actions to the taking that the applicant analyzed, and the reasons why the applicant did not adopt such alternatives. additional measures that the Service may require as necessary or appropriate. Mitigation measures are actions that reduce or address potential adverse effects of a proposed activity on species covered by a HCP. They should address specific needs of the species involved and be manageable and enforceable. Mitigation measures may take many forms. In the case of terrestrial species that dwell on open spaces of land, mitigation often takes the form of preservation (via acquisition or conservation easement) of existing habitat; enhancement or restoration of degraded or a former habitat; creation of new habitats; establishment of buffer areas around existing habitats; modifications of land use practices, and restrictions. For the salamander species, mitigation may take the form of drought management plans, water conservation plans, aquifer recharge management measures, as well as physical habitat improvement at the springs and spring runs.